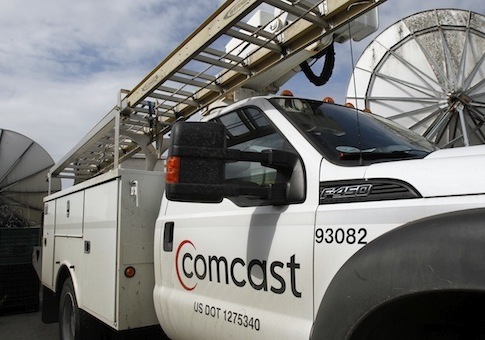 Comcast is waging a shock and awe campaign to secure approval of its proposed $45 billion merger with Time Warner Cable, assembling one of the largest lobbying teams ever seen in Washington, the Hill reports. Joseph Gibson of The Gibson Group, which started lobbying for Comcast in April, has held several prominent roles with the House Judiciary Committee, whose members grilled Comcast executives for four hours earlier this month. Gibson also worked at the Justice Department, including a stint advising the assistant attorney general for the Antitrust Division. Another heavyweight on the Comcast roster is Louis Dupart, a veteran of Capitol Hill, the Defense Department and the CIA who’s now at the Normandy Group. He says on his firm’s website that he "has had multiple successes at the Department of Justice and the Federal Trade Commission on major anti-trust reviews for DuPont, Google, People Soft, and other companies." "Though Comcast is not alone in its revolving door lobby strategy, what is unprecedented is the gravity of the revolving door abuse now being employed by a small handful of very wealthy communications firms," said Craig Holman, government affairs lobbyist at Public Citizen. He pointed to records compiled by the CRP that shows about 82 percent of Comcast’s lobbying squad in 2014 had worked in the public sector before going to K Street. For Google and Verizon, those numbers were 80 percent and 82 percent, respectively. "This is nothing short of behemoth businesses within an industry fighting a war both amongst themselves and against federal regulators by employing armies with direct access to government," Holman said. This entry was posted in Issues and tagged Comcast. Bookmark the permalink.